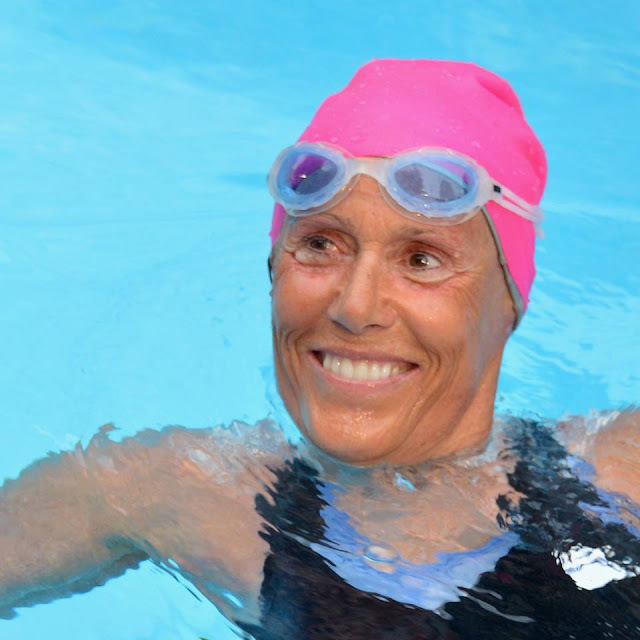 One of the first women I wrote about when starting this blog was American swimmer Diana Nyad. If you don’t know her, she’s the lady who decided at 60 years of age to swim the 166km (103mi) from Cuba to Florida. As you do. She’s written an inspiring book called “Find a Way, one untamed and courageous life”. And I’m working my way through it at the moment, looking for bright thoughts to combat the January blues. It opens as Diana was about to jump in for her 3rd attempt at this distance. She’d first tried aged 28 in 1978, then an aborted attempt in 2011 before this painful-to-read try in September 2011. She finally completes her mission on her fifth, yes fifth, attempt in 2013. Then in a moving look back at her childhood Diana reveals the abusive relationship her father created with her, and her siblings. Speaking from the calm of her seventh decade, she forgives her father. Why? Because of the indomitable champion’s spirit he gave her in his good moments. It’s not a chapter you expect in a sports-book but a brave and open look at what’s made her who she is; good, bad and indifferent. More to come from Diana Nyad’s “Find a Way” when something else strikes me as I read along. Or if you’d like to hear Diana speak about those jelly-fish, where else but a Ted-talk?